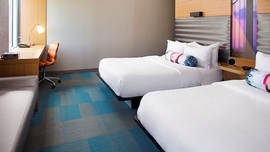 Our Park Snooze and Fly Package includes 10 days of free parking at the hotel near Philadelphia International Airport while you're enjoying vacation and a one night's stay at aLoft Philadelphia Airport the night before your flight. 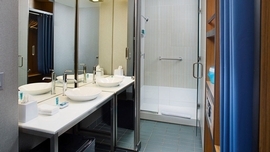 Alternatively, we can provide hotel accommodations on the night of your return. Lastly, shuttle transfers will be provided to Philadelphia International Airport when you depart and transfer you back to aLoft Philadelphia Airport upon your return so you may get your vehicle. If you have a late landing, staying the night of your return is also an option. You can take advantage of parking your car at the hotel prior to your flight and getting well rested at the hotel the night of your return. Our Park Snooze and Fly Packages are an excellent way to make airport parking convenient and affordable. The aLoft Philadelphia Airport allows late arrival check-in so you know your room will be ready even if you have a late landing. 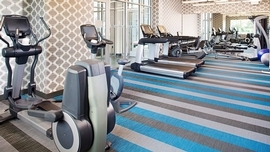 If you need more parking than the included free parking at the aLoft Philadelphia Airport, you may extend the parking duration for an additional fee of (12.00 Per Additional Day) paid to the hotel. 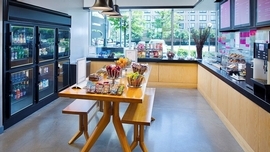 The aLoft is one of the most unique brands within Starwood Hotels and Resorts. 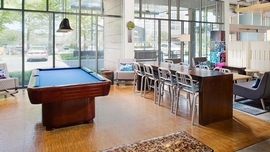 This hotel chain is focused on modern urban style mixed with a contemporary feel, which presents an exciting social experience for those seeking a new and fresh atmosphere. The rooms are characterized by anything but traditional setup, having creative and innovative layouts for travelers to enjoy. 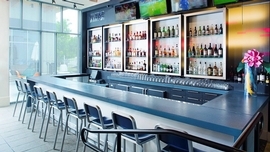 The hotel brand has the W XYZ(R) Bar, a fun way to finish a traveler's long day with a relaxing drink. 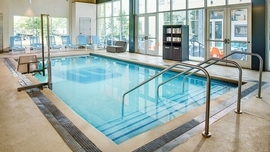 Most aLofts also offer indoor pools, business centers, free Wi-Fi, and flat screen TVs. Since these hotels do not have a restaurant or continental breakfast, most have a "Re:Fuel" Pantry where you can purchase tasty snacks! Starwood is a very trusted brand in the travel industry, and if you haven't experienced a stay at one the aLofts, book yours today! 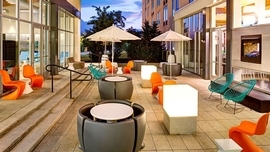 Click here to see all of our aLoft hotels which we offer in alternate cities. Crib - Yes - No crib allowed in a room with two beds.